The University of New Orleans. Shaikh M. Arifuzzaman is an Assistant Professor of Computer Science at the University of New Orleans (UNO), where he joined in Fall 2016. Earlier, he obtained his Ph.D. in Computer Science from Virginia Tech in August 2016. His Ph.D. was supervised by Drs. Madhav Marathe and Maleq Khan. At Virginia Tech, he worked in Network Dynamics and Simulation Science Lab (NDSSL), where he did interdisciplinary research on Big Data Analytics, Parallel Algorithms, Network Science, and High-Performance Computing. He also worked as a student researcher at Sandia National Laboratories, Livermore, CA. Prior to that, Dr. Arifuzzaman completed his B.Sc. in Computer Science and Engineering from Bangladesh University of Engineering and Technology (BUET), Dhaka, Bangladesh. Dr. Arifuzzaman’s research revolves around large-scale data-intensive computing for interdisciplinary problems emerging from network science, biological science, and other data-rich scientific disciplines. He is particularly interested in mining and analyzing large network data by designing novel algorithmic and analytical techniques, often for HPC systems. In recent years, he has been working on designing efficient parallel algorithms for counting triangles in massive graphs, characterizing social networks based on local neighborhood, and designing algorithms for scalable community detection. At UNO, Dr. Arifuzzaman is leading a research group on big data and scalable computing. Sandia National Laboratories, Data Science & Cyber Analytics Dept. Congratulations to Safrin, for defending her MS thesis! Safrin has been working as a Graduate Research Assistant in my big data and scalable computing research group. Her work is on parallel and scalable graph computations. The award was announced during its annual Achievements in Research, Creativity and Scholarship (ARCS) awards ceremony. Link: 2019 ARCS Awards. Presented a paper, co-organized (co-hosted) BigGraphs Workshop, chaired a session on BigData Algorithms and Applications. Link: 2018 IEEE Big Data Conference. SC'18 at Dallas! We participated, presented, and volunteered. We presented in PDSW-DISCS Workshop in SC'18. Safrin served as the Student Volunteer for SC. I worked as an SC Mentor. I was delighted to have interacted with so many young enthusiastic SC students. I also took part in the Early Career Workshop. Link: 2018 The International Conference for High Performance Computing, Networking, Storage, and Analysis. Our paper on distributed community detection is accepted in Software Challenges for Exascale Computing (SCEC'18) Workshop, to be held in December in Delhi, India. Congratulations, Safrin! Safrin is also awarded student travel award sponsored by the National Science Foundation (NSF). Link: Second Workshop on Software Challenges to Exascale Computing 2018. Our paper on network (graph) visualization is accepted in BigNet Workshop 2018 at 2018 IEEE Big Data Conference. Congrats Faysal! Conference to be held in Dec 10-13, 2018, Seattle, WA. Co-organizing BigGraphs Workshop 2018, to be held in conjunction with 2018 IEEE Big Data Conference. Fifth International Workshop on High Performance Big Graph Data Management, Analysis, and Mining (BigGraphs 2018). Organizers: Nesreen Ahmed, Shaikh Arifuzzaman, Mohammad Hasan, and Kamesh Madduri. Dec 10-13, 2018, Seattle, WA. Serving as the Publicity Chair of DASC 2018 conference. Also, organizing GraphCom 2018 Workshop. The 16th IEEE International Conference on Dependable, Autonomic and Secure Computing (DASC 2018), 12-15 August 2018, Athens, Greece. I am also organizing a workhop on large-scale graph computation- GraphCom 2018, in conjuction with the above conference. Extended version of our conference paper on PPI networks. With Bikesh Pandey (CS, UNO). Co-Principal Investigator, High-resolution Human Connectome Network Analysis (PI: Dr. Elliot Beaton, Psychology; Co-PI: Dr. Vasil Roussev, CS). Co-author: Bikesh Pandey (CS, UNO). The 3rd IEEE Int'l Conference on Big Data Intelligence and Computing. Conference date: Nov, 2017. Orlando, Florida. This workshop aims to bring together researchers from different paradigms solving big graph problems under a unified platform for sharing their work and exchanging ideas. Proposed project: Scalable Mining and Analysis of PPI Networks. This will be a short-term project with an expected duration of 6 months. 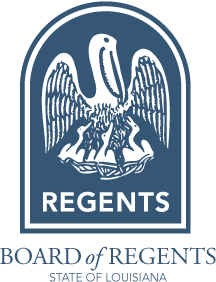 I joined the University of New Orleans as an Assistant Professor of CS from Fall 2016. I moved to New Orleans-- a unique city with music, foods, and much more! The title of the dissertation is "Parallel Mining and Analysis of Triangles and Communities in Big Networks." A Fast Parallel Algorithm for Counting Triangles in Graphs using Dynamic Load Balancing, with Maleq Khan and Madhav Marathe.